With over twenty years history of excellence in traditional Kung Fu training, Bo Law Kung Fu is New York’s premier Chinese Martial Arts Academy. Our Young Tigers and Tiny Tigers curriculum teaches focus and discipline in a fun and safe environment. 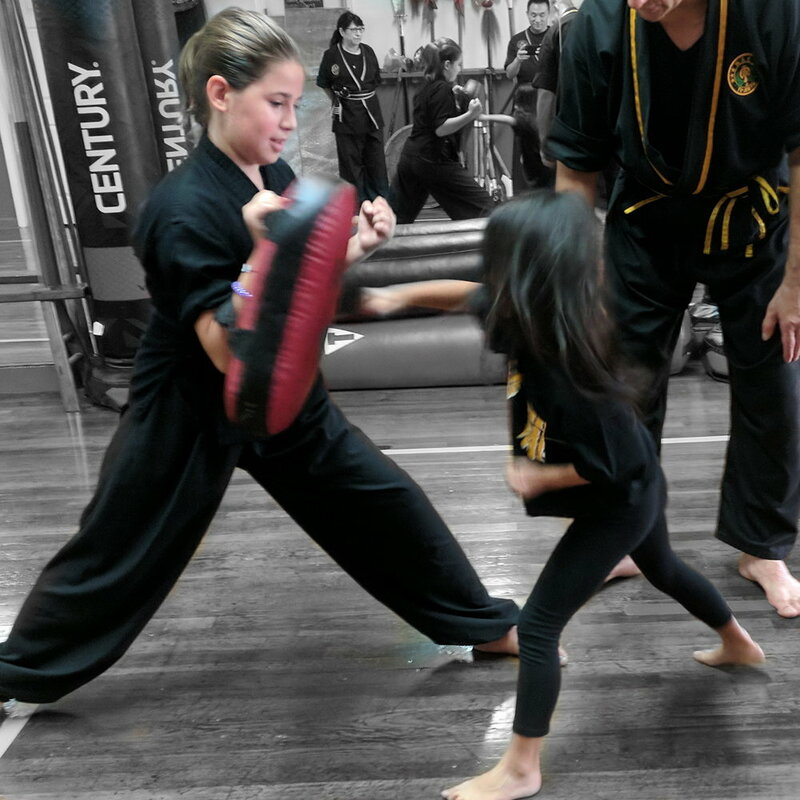 We believe that in addition to improving kids’ balance, agility and overall fitness, training our Kung Fu develops integrity, honesty, and respect for self and others in the young leaders of tomorrow. Contact us at (212) 925-3339 or E-mail us to inquire about weekday kids classes! Check again soon for future promos! Registrations are accepted on a first-come, first-serve basis for all programs.Full payment is required upon registration in order to reserve a space in the program. All cancellation requests must submitted in writing to mgt@bolawkungfu.com. Students withdrawing from a semester-long class must cancel at least 72 hours prior to the start date to receive a full refund (minus a $50 processing fee). Students withdrawing from a semester-long class less than 72 hours prior to the start date will receive a 50% refund. Students withdrawing from a week-long camp must cancel at least one week prior to the start date to receive a full refund (minus a $75 processing fee). Students withdrawing from a week-long camp less than one week prior to the start date will receive a 50% refund. No refunds will be granted after the start of the program, regardless of attendance. Bo Law Kung Fu, Inc. reserves the right to cancel any program that does not meet enrollment requirements. Bo Law Kung Fu, Inc. reserves the right to use photos/videos taken during sessions for promotional purposes. Bo Law Kung Fu, Inc. reserves the right to take disciplinary actions, which could include expulsion from Bo Law Kung Fu, Inc.programs without warning or refund, against any adult or children who repeatedly disregards Bo Law Kung Fu, Inc.‘s stated policies or otherwise engages in actions deemed inappropriate by Bo Law Kung Fu staff.